Kim Telling, our Apprentice Mentor, Lauren Stevens, Training & Development Coordinator and Tony Smith, Technical Manager were at the careers event at Churchfields Academy in Swindon this week. They took along a small example of underground drainage to get the students interested in some of the work we do. 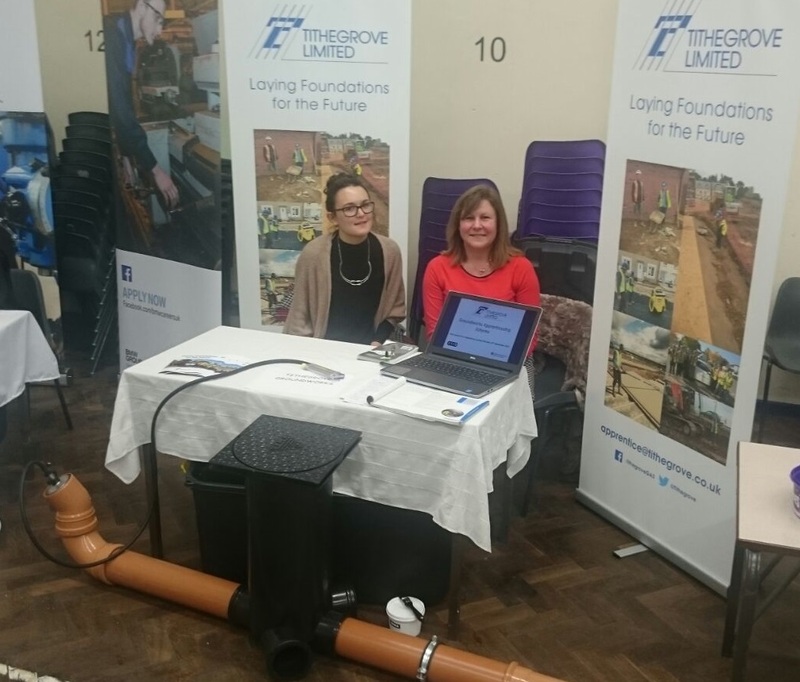 Tithegrove will be at various careers events across the South West throughout 2016, please come free to come speak speak to us if you’re interested in a Groundworks Apprenticeship.